Many bird songs are rich and complex, difficult to remember, and nearly impossible to imitate. Some species' songs, however, sound as if they could have been whistled by a human. These simpler, pure-noted songs are some of the most familiar and easy to remember. These songs -- including the "pee-a-wee" of this Eastern Wood-Pewee -- are a great place to start building your knowledge of birding by ear! The Olive-sided Flycatcher has one of the most distinctive and catchy songs on the continent [http://macaulaylibrary.org/audio/195787, 0.10-11]. And many birders learn early on to pick out its sharply inflected three-note song, and to imitate it. [Narrator’s imitation of whistle]. 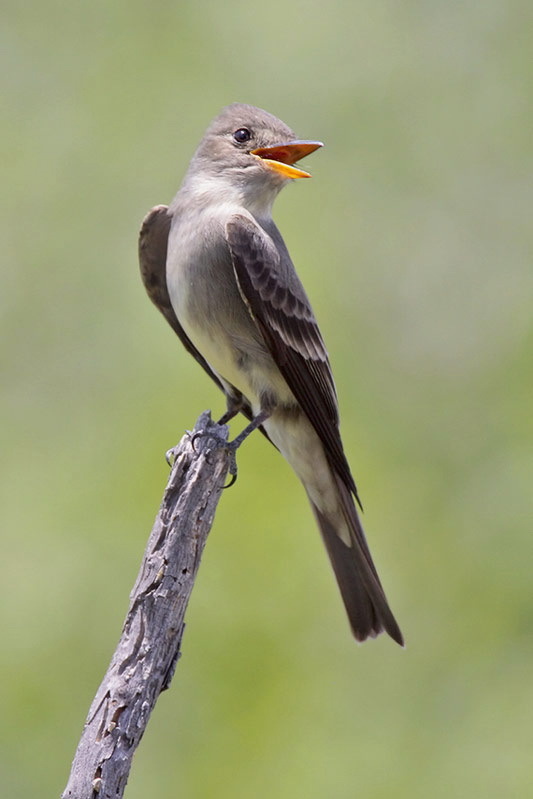 The Eastern Wood-Pewee has a catchy tune too… [http://macaulaylibrary.org/audio/191222, 0.36-42] …pretty much whistling out its name, pee-a-wee. A bit harder to imitate, though [narrator imitate]. But it’s not only little songbirds that whistle. [Northern Saw-whet Owl song, http://macaulaylibrary.org/audio/130470, 0.14 – 20 - quieter rec around 2.40 in]. 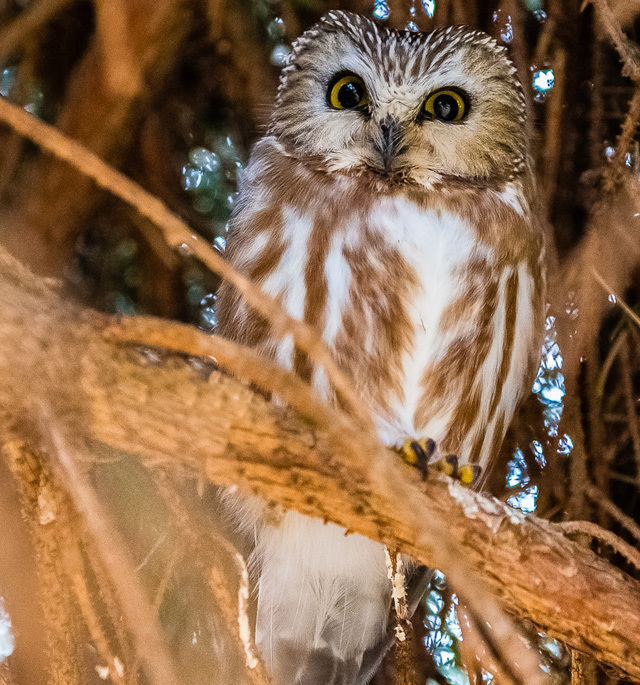 This night-time whistler's a Northern Saw-whet Owl [http://macaulaylibrary.org/audio/130470, 0.14 – 20]. We like to think that owls only hoot, but these sound a lot like human whistles and are easy to copy. Bird sounds provided by The Macaulay Library of Natural Sounds at the Cornell Lab of Ornithology, Ithaca, New York. Olive-sided Flycatcher  recorded by Bob McGuire; Eastern Wood-Pewee  recorded by Wilbur L Hershberger; Northern Saw-whet Owl  recorded by Gregory F Budney; Pigeon Guillemot recorded by Geoffrey A Keller and Gerrit Vyn, featured on the CD 'Bird Songs of the Pacific Northwest' Disk 2 Track 53, Macaulay Library, Cornell Lab of Ornithology, Ithaca, New York. How do songbirds sing? In 3-D!